Larry Kaplan helps social justice advocates — non-profits, grantmakers, philanthropists, associations, collaboratives, private businesses and public agencies — bring their goals to fruition and raise money. Fund development and grant writing are on everyone’s minds these days. But fundraising, board development, marketing and advocacy are joined at the hip. Larry Kaplan will help you design and implement a sustainable strategy to build up your board, market your advocacy organization, and find, cultivate and inspire the people and institutions that will become your long-term donors; this includes writing successful grant proposals. Larry Kaplan brings transformational strategic management expertise to organizations going through changes and operating in challenging environments — turn-arounds, crisis and interim management, new start-ups and any advocacy organization in need of strategic planning. He helps funders support the advocacy efforts of their grantees, including the challenge of measuring effectiveness. And, he helps build capacity for advocacy organizations — board recruitment and development, strategic planning, and executive coaching for advocacy leaders. Larry Kaplan helps non-profits, grantmakers, associations, collaboratives, private businesses and public agencies increase their effectiveness and refine their messages. He will work with you to strategically plan the visibility, community engagement and communications programs with key stakeholders and constituencies that bring results. Larry’s journalistic training makes him a strong writer (critically important to writing successful grant proposals), analyst and researcher, with the ability to synthesize complex issues into easy and engaging stories. Larry Kaplan provides you with the benefits of a wealth of relationships extending across all of Southern California’s communities, constituencies and leaders, coupled with a thorough knowledge of their issues. Larry will help you leverage your own connections in service to your vision, mission, fundraising goals, board recruitment and development, and program objectives. Larry Kaplan will help you understand how public policy impacts your work, and craft an appropriate public affairs strategy that will advocate for your cause, build your financial sustainability and advance your mission. It’s all about the intersection of charity and public policy. Larry Kaplan knows how to manage political offices and public advocacy campaigns. He is well-versed in the political and public policy issues confronting California, who the political players are, and how those things figure into successful fundraising. 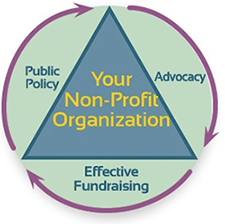 Larry will help you understand how public policy impacts your advocacy organization, and navigate the public affairs approach that produces the results you want.